Coffee is a widely popular drink. It has been unfairly demonized in the past, but is actually very healthy. In fact, coffee is a major source of antioxidants in the Western diet (1, 2). It’s also associated with many health benefits, including a decreased risk of type 2 diabetes and liver disease (3, 4). But does coffee also have benefits for your brain? Let’s find out. Coffee is an incredibly healthy beverage. It contains hundreds of bioactive compounds that contribute to its powerful health benefits. Many of these compounds are antioxidants, which fight the damage caused by free radicals in your cells. Caffeine: The main active ingredient in coffee, caffeine stimulates the central nervous system. It is the most commonly consumed psychoactive substance worldwide (6). Chlorogenic acids (CGAs): These polyphenol antioxidants may benefit some biological pathways, such as blood sugar metabolism and high blood pressure, both of which are related to the risk of age-related mental decline (7, 8). Cafestol and kahweol: Present in coffee’s natural oil, high amounts of these compounds are found in unfiltered coffee. They may be good for the liver and protect against cancer, but a high intake may raise LDL cholesterol (9, 10, 11). Trigonelline: This alkaloid compound is unstable at high heat and during roasting forms nicotinic acid, also known as niacin (vitamin B3). Trigonelline may also help prevent dental cavities by inhibiting bacterial growth (12). However, the amounts of these substances in a cup of coffee may vary. They depend on a number of factors, including the type of coffee beans, how the beans are roasted and how much you drink (13, 14). Bottom Line: Coffee is an incredibly healthy beverage packed with hundreds of biologically active compounds, including caffeine, chlorogenic acid, trigonelline, cafestol and kahweol. Caffeine affects the central nervous system in several ways. However, the effects are mainly believed to stem from the way caffeine interacts with adenosine receptors (15). Adenosine is a neurotransmitter in the brain that promotes sleep. Neurons in your brain have specific receptors that adenosine can attach to. When it binds to those receptors, it inhibits the tendency of neurons to fire. This slows neural activity. Adenosine normally builds up during the day and eventually makes you drowsy when it’s time to go to sleep (16, 17). Caffeine and adenosine have a similar molecular structure. So when caffeine is present in the brain, it competes with adenosine to bind to the same receptors. However, caffeine doesn’t slow the firing of your neurons like adenosine does. Instead, it prevents adenosine from slowing you down. Caffeine promotes central nervous system stimulation, making you feel alert. Bottom Line: Caffeine is the key reason why coffee boosts brain function. This stimulant blocks adenosine, an inhibitory neurotransmitter in the brain that makes you sleepy. Studies have shown that caffeine can boost brain function in the short term (18). This is largely because it blocks adenosine from binding to its receptors. But caffeine also stimulates the central nervous system by promoting the release of other neurotransmitters, including noradrenaline, dopamine and serotonin (19). That being said, you may develop a tolerance to caffeine over time. This means you will need to consume more coffee than before to get the same effects (22). Bottom Line: Caffeine causes changes in several neurotransmitters that may improve mood, reaction time, learning and vigilance. Coffee and caffeine may also affect your memory, but the research on this is mixed. Some studies have found that caffeine may enhance short-term memory (23). Other studies report no effects on memory or have even found that caffeine impaired performance on memory tasks (24, 25, 26). Researchers still debate the effects of caffeine on long-term memory (27). However, one small study found that caffeine may improve long-term memory when administered after learning (28). When the subjects consumed a caffeine tablet after studying a series of images, their ability to recognize these images 24 hours later was strengthened. Caffeine also appeared to make these memories more resistant to being forgotten, compared to the placebo group. Bottom Line: While some studies have found that caffeine may improve short-term memory, others have found no effect. The effects on long-term memory need to be investigated further. The main reason why people drink coffee is to feel more energized and awake, so it’s no surprise that research has shown caffeine may suppress feelings of fatigue (18). However, the energy boost only lasts for a certain amount of time before it starts to wear off. Then you may feel you need another cup. Just make sure not to consume large amounts of caffeine in the late afternoon or evening, since it might disrupt your sleep at night (29). If drinking coffee reduces the quality of your sleep, then it will likely have the opposite effect and impair your overall brain function. Bottom Line: People often use coffee to counteract fatigue and tiredness. However, when consumed late in the day, it may reduce the quality of your sleep and subsequently make you feel more tired. Alzheimer’s disease is the most common cause of dementia worldwide. It generally starts slowly but gets more severe over time. Alzheimer’s causes memory loss, as well as problems with thinking and behavior. There is currently no known cure. Interestingly, diet-related factors may affect your risk of developing Alzheimer’s disease and other forms of dementia. Observational studies have associated regular, moderate coffee consumption with up to a 65% lower risk of getting Alzheimer’s (30, 31, 32, 33, 34). However, the protective effects of coffee and caffeine have not been confirmed by randomized controlled trials. Bottom Line: Consuming coffee regularly in moderate amounts is linked to a reduced risk of Alzheimer’s disease. However, higher-quality studies are needed to confirm these findings. Parkinson’s disease is a chronic disorder of the central nervous system (35). It’s characterized by the death of nerve cells in the brain that secrete dopamine and are important for muscle movement (36). Parkinson’s mainly affects movement and often includes tremors. There is no known cure for this disease, which makes prevention particularly important. Interestingly, studies show that coffee may help prevent this disease (37, 38, 39). A large review study reported a 29% lower risk of Parkinson’s disease in people who drank three cups of coffee per day. Consuming five cups didn’t seem to add much benefit, indicating that more is not necessarily better (40). The caffeine in coffee appears to be the active ingredient responsible for these protective effects (41, 42). Bottom Line: Consuming moderate amounts of coffee may protect against Parkinson’s disease. This effect is attributed to the caffeine. When consumed in moderation, coffee can be very good for your brain. In the short-term, it may improve mood, vigilance, learning and reaction time. Long-term use may protect against brain diseases like Alzheimer’s and Parkinson’s. 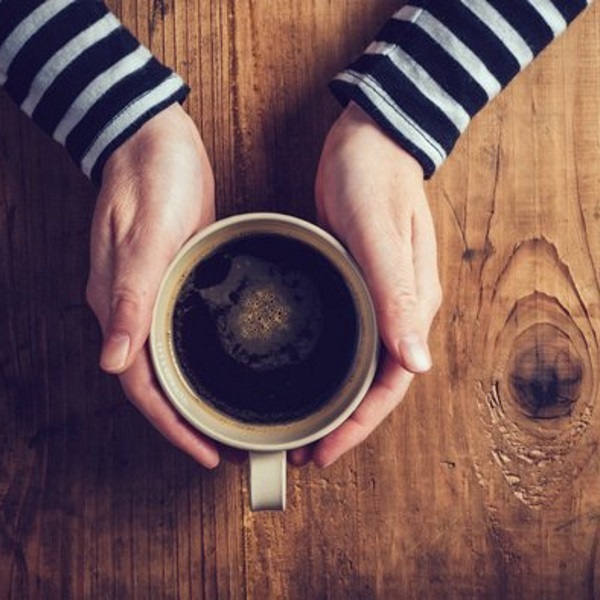 Although many of these studies are observational — meaning they can’t prove cause and effect — they strongly suggest that coffee is good for your brain. However, moderation is key. When consumed in excess, caffeine can cause anxiety, jitters, heart palpitations and sleep problems (29). Some people are sensitive to caffeine, while others can drink many cups per day without any side effects. That being said, some people definitely need to limit their caffeine intake, including children, adolescents and pregnant women (43, 44). For people who tolerate it, coffee can provide many impressive benefits for the brain.